Clifford John Prock’s southwest Oklahoma roots were covered with the dust, dysfunction and poverty of the Great Depression. His mother died when he was two and his stepmother abused him. Were it not for his grandmother’s faith in God, his father-figure coach’s compassion and his wife’s loyalty and support, his path might have been very different. 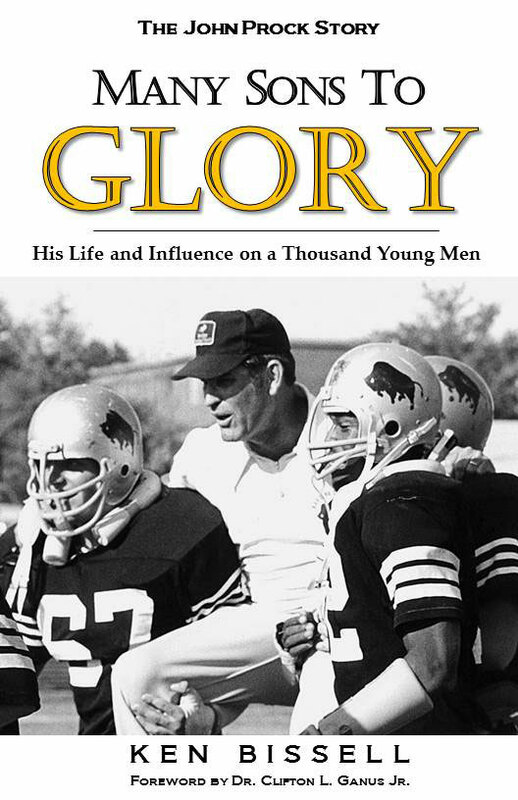 Instead, Prock built the Harding University football program from the ground up, and in the process taught lessons in duty, honor, love, character and humility that encouraged his players to “Be The Best” and has forever changed their lives. Copyright © 2019 Many Sons to Glory. All Rights Reserved.